CottonShell breaks with the fashion indifference to traditional materials by means of creativity, innovation and contemporary communication. Our Fabrics, Seam Sealing Tapes, and Bonding Adhesives work together as an integrated system to provide superior functionality to the wearer. And the stories we create help to explain the benefits of our products to the end consumer in a purposeful manner. Getting all of this together in one turnkey package helps brands to create garments that work and speak for themselves. CottonShell Fabrics are performance fabrics woven from 100% cotton. They are made from long staple cotton fibers that swell slightly when exposed to water. In combination with the unusually high thread density of the weaving, the fabric construction becomes waterproof even without coating or lamination. The result are water- and windproof all-weather fabrics with a natural breathability that is beyond anything a laminated fabric with comparable waterproofness can offer. Our Fabrics have a natural touch and a genuine look. They are durable and quiet in use and also have good resistance to tearing and burning. 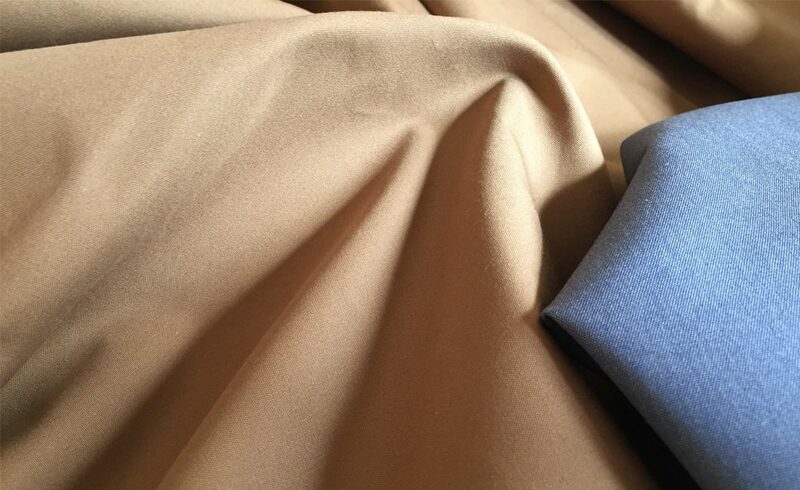 CottonShell Fabrics are available in several different qualities which differ in weight, construction, country of origin, dying process, and other characteristics. Please get in touch with us to learn more about our Fabrics. 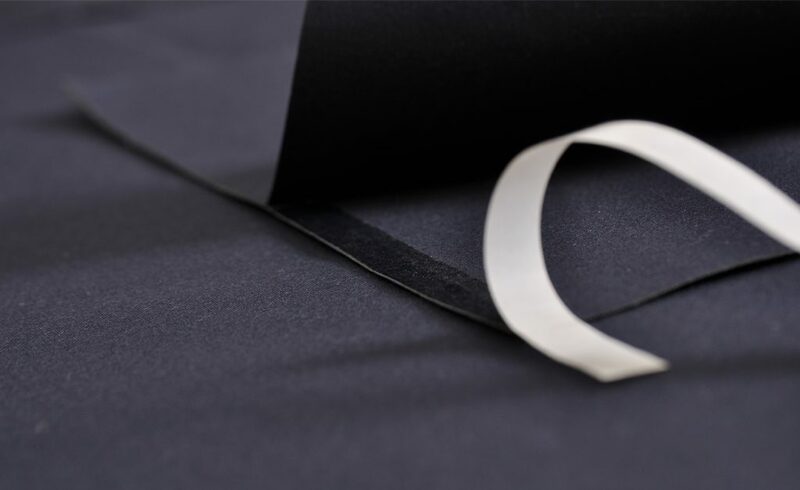 Our Seam Sealing Tapes were developed exclusively for CottonShell in cooperation with Framis Italia SpA. They enable an additional waterproof seam treatment. We included both, functional as well as aesthetic aspects into our development and made all CottonShell Tapes available from original outer fabric, as well. We offer the tapes in two versions: with a print of the CottonShell logo for a distinguished branded look or without a print for a more discrete appearance. Garment makers may choose freely which option they believe fits best with their brand or specific garment. Please get in touch with us to learn more about our Seam Sealing Taping Solutions. Together with industry leading partners we have developed a line of Thermo-reactive Bonding Adhesives in order to offer turn-key and high-quality solutions for labelling, decorations, taping, and adherence. They are tested and proven for the use of our CottonShell materials allowing our customers to focus on garment development rather than material sourcing and testing. Please get in touch with us to learn more about our Thermo-reactive Bonding Adhesives. Consumers care about what the garments they wear are made of or where the materials come from. Our different Fabrics are all made from 100% cotton, but made in different countries across the globe. 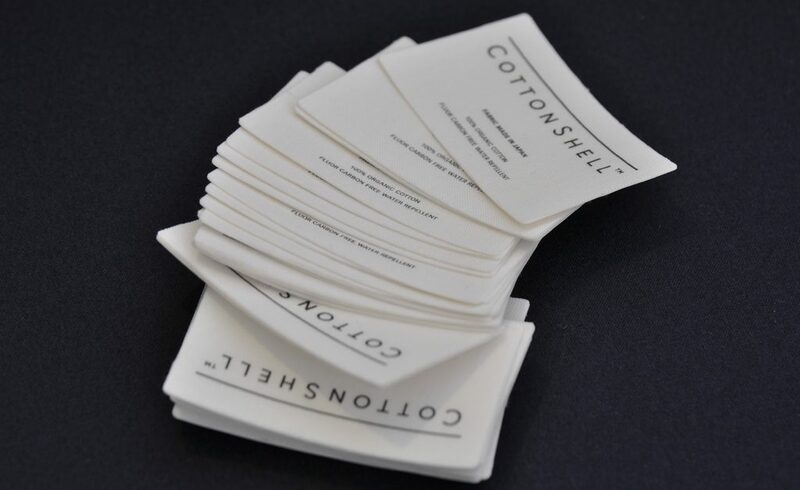 We have created beautiful Labels to help garment makers communicate the CottonShell brand and the country of origin of the fabric to their customers in an authentic way. The use of the labels is completely optional. Please get in touch with us to learn more about our Labeling Solutions. CottonShell breaks with the fashion indifference to traditional materials. 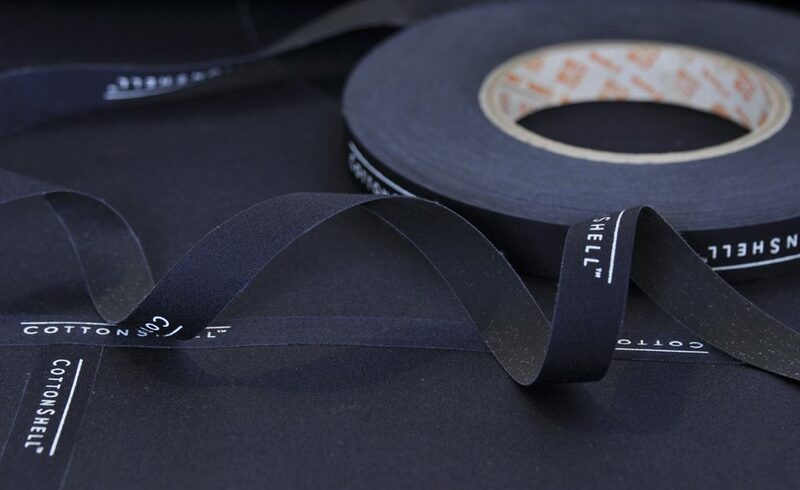 Not only have we created a series of Fabrics, Seam Sealing Tapes, and Bonding Adhesives that work together as an integrated system to provide superior functionality to the wearer. But also are we taking a contemporary approach to communicating the benefits of our products to the end consumer in a purposeful manner. 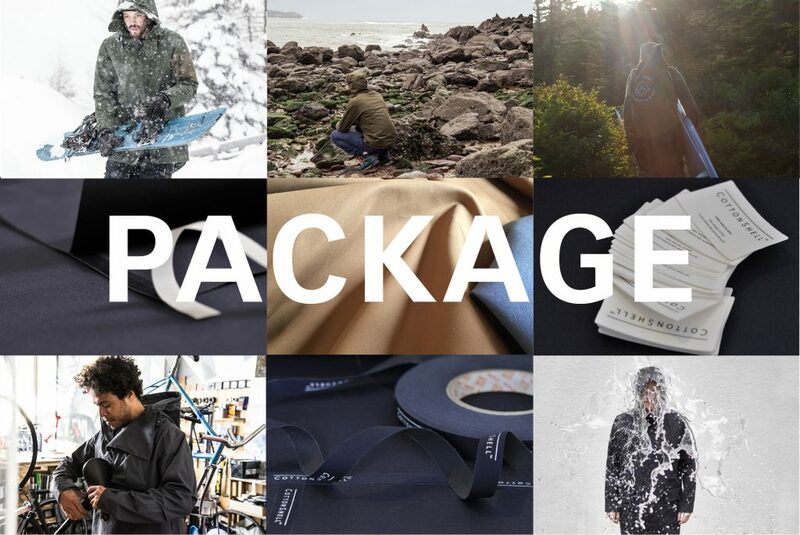 Getting all of this together in one turnkey package helps brands to create garments that work and speak for themselves. Visit our Journal to read the latest stories about our friends using CottonShell products every day.